With this set of eight tuners, you achieve fast, instantaneous relaxation as well as develop and refine your sonic abilities. 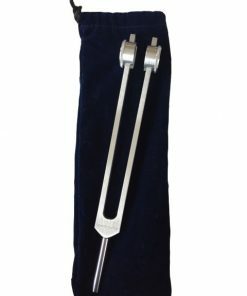 The Solar Harmonic Spectrum helps you re-proportions your body through a process of cellular memory based on the natural ratios of the tuning forks. NOTE: This is the full set and includes the Body Tuners. 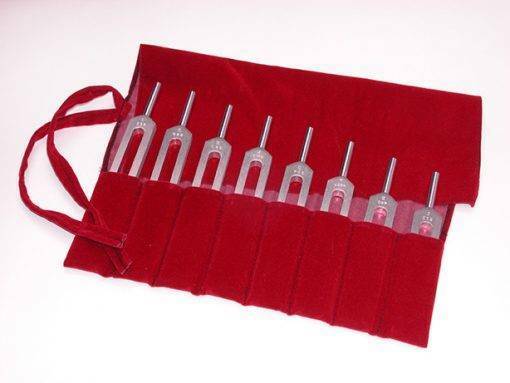 To buy the tuners without the Body Tuners (Forks C and G), please purchase the Solar Harmonic Spectrum upgrade set of 6 below. 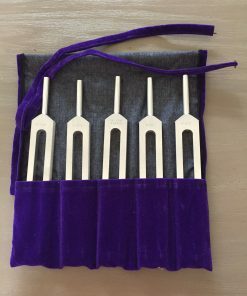 Tune your body to the healing sounds of Pythagorean Tuning Forks. With this set of eight tuners, you achieve fast, instantaneous relaxation as well as develop and refine your sonic abilities. 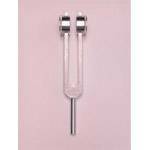 The Solar Harmonic Spectrum helps you re-proportions your body through a process of cellular memory based on the natural ratios of the tuning forks. 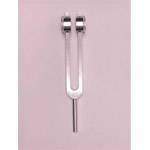 There are two ways to sound your tuning forks. The first way is to gently hold them by the stems and firmly tap the end of the tuning fork on your knees. This will create a pure tone and is excellent for deep listening. 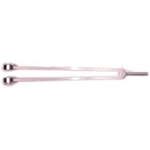 Bring the two-prong part of the forks about an inch away from each ear and listen to the quality of tone. 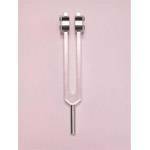 Remember that your tuning forks are musical instruments. 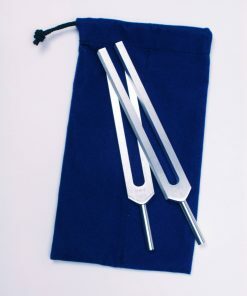 The second way is to hold the tuning forks by the stems and tap them together two times to create an audible sound with overtones. This sound is good for moving around the body in the energy field. You can adjust the volume by the strength of your tap. Experiment with getting different sounds. 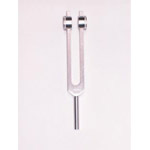 When you move the tuning forks quickly they will create a beautiful ringing overtone.